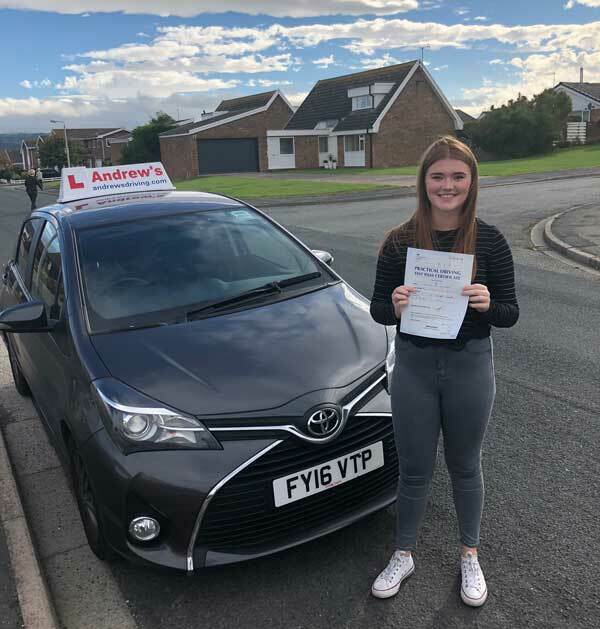 Georgia Richards from Penrhyn Bay passed her driving test first time today 4th October 2018 after a course of driving lessons with Dewi in Penrhyn Bay and Rhyl. Pass your driving test first time by calling Andrew’s Driving School. Pass your driving test first time with Andrew’s Driving school. Driving lessons throughout most parts of North Wales.